"If I'm going down, I might as well pick my poison. I pick you." *** A Cobalt Bay Billionaires story. *** She couldn't be sure whether he was her predator or protector... but she was doomed to love him either way. *** It was a summer they will never forget. Young and naive Cassandra Collins finds herself offered up as interest for her cousin's debt to a powerful man who craves her as fiercely as he resists her. 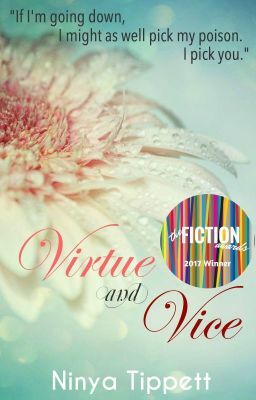 Wary but tempted, she struggles to get through the summer without stripping herself of her virtue, and losing her heart to Sebastian Vice-a man so beautiful and broken, he will hurt her as much as he will love her. Under the blazing sun and amidst the sultry heat of their forbidden desires and secret fears, will Cassandra find the love that will change her life forever? Or will she face the punishment of falling for a wicked Vice? Wrought by secrets and scars, this is a story of two people who hunger darkly and desperately for a love they are strangers to-a love that endures, hopes and sets them free. *** WARNING: This story may be a little steamier than my usual ones. There might be scenes and concepts that are objectionable to some people so heed this warning before you start reading. I don't think it's erotica but let's just say some parts are steamy. If you don't mind it, go right ahead and read on. :P *** Copyright © 2013 by Nina Tippett. All rights reserved. No part of this document may be reproduced or transmitted in any form or by any means, electronic, mechanical, photocopying, recording, or otherwise, without prior written permission of Nina Tippett. This is a work of fiction. All of the characters, organizations, and events portrayed in this novel are either products of the author's imagination or are used fictitiously.